We need volunteers from local individuals, businesses, or organizations. Whether you are part of a school group, member of boy and/or girl scouting troop, 4-H or just a community-minded citizen, we could use a helping hand. We are also looking for professionals or businesses that would like to donate services to help restore the building to its former splendor. 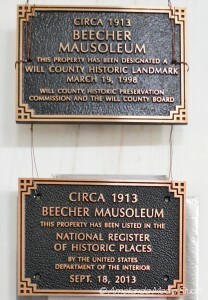 We are grateful to all those who have helped in the past and who continue to work on this National Landmark building. This entry was posted in Volunteer Opportunities by Sandra. Bookmark the permalink. Hi! My name is Paul Wieggel and I am a Boy Scout working on a merit badge for community citizenship. I need to visit an historical landmark within my community and I wanted to know if there is a way to see the inside of the mausoleum. Any information you could give me would be helpful. Thank you!